The tone and style of Ry Russo-Young’s debut feature Orphans might take some getting used to. That’s a compliment. Orphans takes itself seriously in a way that many low-budget mini-DV films made by young directors do not. Compared to the line-up of narrative features that accompanied Russo-Young on her journey around the film festival circuit, Orphans feels like an orphan in its own right. It is as far from the supposed tenets of mumblecore as a film can get (how it got grouped into that so-called movement spoke more about lazy journalism than anything else). To some—younger male viewers, especially—the overall impact will be a jarring experience and will result in a missing of the point, as well as an unfairly negative reaction. But the truth is that Russo-Young should be commended for attempting something so daring, and for succeeding. Using the most emotional tools of cinema—colors, music, landscapes, performances—she creates a haunting portrait of two sisters who are unable to heal from the loss of their parents five years prior. There is an artistry at work here that recalls European cinema from the 1970s or early 1980s. Which is interesting, for that works in conjunction with Russo-Young’s main goal: to contemplate how the past continues to reverberate in the present. Watching the film, an interesting question arises: was Russo-Young influenced by her own childhood or by films from that era? The answer appears to be both. In the best way possible, she and her actresses have found a way to cloak the emotions of their own past histories in an artificially constructed story. The resulting atmosphere is difficult to describe. Rooted in the present, tormented by the past, Orphans takes place in its own mysterious universe, the universe of its characters mourning minds. Rosie (Lily Wheelwright) lives in New York City. She makes the trek upstate to visit her sister, Sonia (James Katharine Flynn), on her birthday. This reunion is shaky from the start, and as the weekend unfolds, sadness, disappointment, and tragedy reign. It is clear that both Rosie and Sonia have yet to come to terms with their parents’ death. They try to act like the sisters they were when their parents were still alive. They play dress up and dance to old songs and smile. But neither of them can recapture the past. Both are desperate, yet in different ways. Rosie has already conceded, while Sonia is almost manic in her defiance of reality. This makes for a bad combination, resulting in a clash of personalities between two individuals who should be using one another for emotional support. That imbalance provides Orphans with its most overtly dramatic moments, yet there exists a more underlying, unspoken sadness to give the film even greater dimension. Though Russo-Young shows her directorial authority in many ways, her use of color is the most exceptional technique of all. It sounds vague to say this, but she has found a color palette that feels like childhood. At one point, Sonia helps a drunken Rosie out of her long red stockings. This bright red contrasts with Sonia’s dark brown dress. It’s a combination that recalls how children dress when they dress themselves, particularly young girls. This scene doesn’t just show an adult sister caring for another. In that instance, they are children once again. Orphans is filled with these moments of present-meets-past. It doesn’t take place in an immediately recognizable reality (hence, some lesser-attuned viewers will find the film stagy). 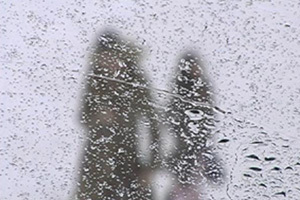 Rosie and Sonia are trapped in a forever-long winter, unable to shake off that cold, foggy feeling, unable to wake up. Unfortunately, it doesn’t appear that they will ever find their way back into a comfortable, everyday routine. While Orphans succeeds on its own fictional terms as a portrait of irretrievable loss, Wheelwright’s premature death casts an even darker pall on the film (she died just as the film was world premiering at the 2006 South by Southwest Film Festival). This tragedy is impossible to deny as one watches Rosie try to muster up some enthusiasm for life, only to become more despondent. Surrounded by the lost trinkets of her childhood, she sees no salvation in the cold, lonely winter, in the realization that she and her sister will never be sisters again.